These upholstery nails are excellent for attaching saddles, martingales and bridle straps to rocking horses. 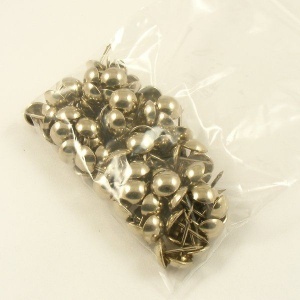 They have a domed cap with a diameter of 10mm, and a 13mm long stem, as measured from the base of the domed cap. 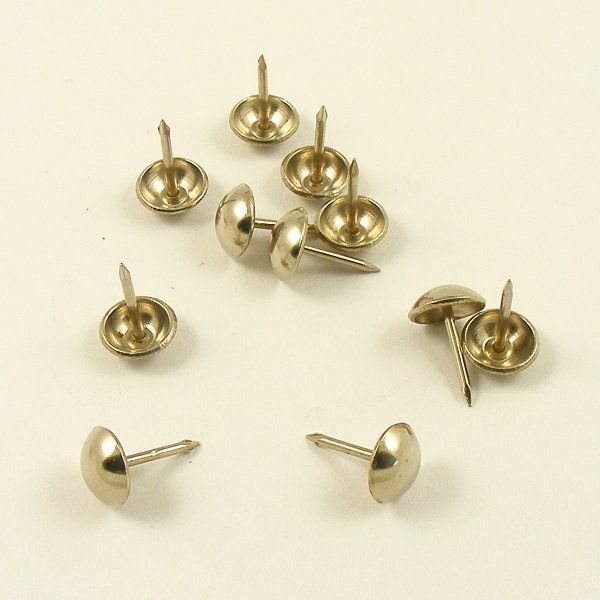 This is a pack of 100 upholstery nails, made from nickel plated steel for a silver appearance.